TOKYO--(BUSINESS WIRE)--Toshiba Corporation (TOKYO:6502) today announced the launch of two starter kits for development of web applications using “ApP LiteTM TZ5000”. Shipments are scheduled to start in October. 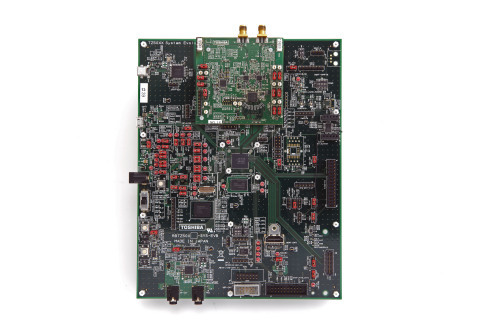 TZ5000 is the application processor incorporating a baseband function compliant with IEEE802.11ac, the standard for next generation high-speed wireless LAN. It does not simply feed raw data to the cloud, such as images captured by sensors, but also carries out efficient signal processing and extracts necessary data, contributing to reductions of data loads. 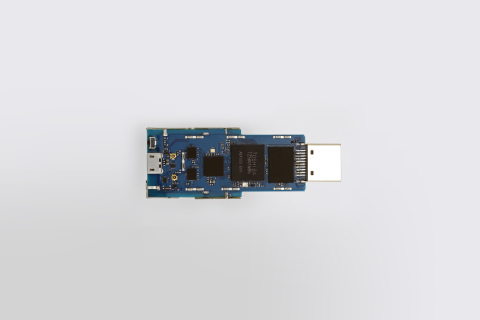 The new starter kit provides various drivers for RIA (Rich Internet Applications)  using HTML5, allowing users to easily introduce embedded environments for developing media streaming devices, IoT (Internet of Things) devices and so on. With this capability, users can shorten product time to market. Moreover, combination with optional units, such as cameras and microphones, improve development efficiency for all kinds of IoT devices, which is expected to expand further in the market in the near future. Development of integrated applications requires lengthy and complicated debugging for power management and enhanced performance. The new products incorporate Toshiba's original memory scheduler, bus arbiter and adaptive power gating solution, which realize optimal memory access, bus arbitration and sophisticated power management, without software intervention. Provides various drivers for optimizing multimedia playback, Wireless LAN and HDMI® output on OS such as AndroidTM 4.4 or Linux® distribution “Ubuntu Linux”. This helps to shorten the lead time of the application development for web browser using HTML5. (*1) Enabled by extension board. USB2.0 (HOST) and USB2.0 (OTG) are exclusive. (*2) Enabled by extension board. Web applications that use plug-ins including Adobe® Flash® and Java applet. They are more flexible in operation and expressive than those using simple HTML form. Image contents or services delivered via the internet. * ARM, Cortex and NEON are trademarks or registered trademarks of ARM Limited in the EU and other countries. * e·MMC is a trademark of the JEDEC Solid State Technology Association. * Ensigma is a trademark or registered trademark of Imagination Technologies Limited. * ApP Lite is a trademark of Toshiba Corporation. * Wi-Fi is a registered trademark of Wi-Fi Alliance®. * HDMI is a registered trademark of HDMI Licensing, LLC in the United States and/or other countries. * Bluetooth is a registered trademark owned by Bluetooth SIG, Inc. and any use of such mark by Toshiba is under license. * Adobe and Flash are either registered trademarks or trademarks of Adobe Systems Incorporated in the United States and other countries. * Java is a registered trademark of Oracle Corporation and/or its affiliates.